Unlock with a look – A little bit of Radha in your life! A little bit of Radha in your life! My son has recently mastered the game of Uno so we typically sit down after dinner to play as a family. The tv is usually playing in the background, tuned to some harmless network channel, mostly as a light source in an otherwise dimly lit living room (you know, for ambiance). Recently, during one of our intensely competitive rounds of gameplay, I heard this distinctly Desi sounding song coming from the tv, and glanced up to see this iPhone X commercial. I immediately hit rewind (thank you Xfinity X1) and Shazam’d the commercial, confirming my initial hunch. The wordless ad features a young woman unlocking various items with just a look, alluding to how amazing it is that the iPhone X is able to be unlocked with facial recognition (Full disclosure: I have an iPhone X and the Face ID only works about 60% of the time) all to the early 80s era, Bollywood pop hit, inspired song “Bang Bang” by Pete Cannon. He’s British which explains the Indian music, ’cause we all know that England continues to be the motherland for all Desis. The cover art features a mendhi inspired drawing with the author’s name and track title running across it. I can’t seem to find much more about him online, so if anyone knows what his connection is to the Brown world or how he happened to stumble upon this sample, I’m curious to know more! The YouTube page includes the credit: The track “Bang Bang” features a sample of “Meri Nazar Hai Tujh Pe’” sung by Asha Bhosle music by R.D. Burman and lyrics by Sahir Ludhianvi licensed courtesy of Saregama PLC. The original song itself borrows some influence from Spanish Flamenco which of course is par for the old school Bollywood course; they are well known for “borrowing” influence in their songs/films. Also, the movie it was in is called “The Burning Train“. This just gets weirder and weirder! Haha I don’t blame you!!! The new Samsung also has the facial unlock function but I haven’t heard how well it works. LOVE this feature on my phone! 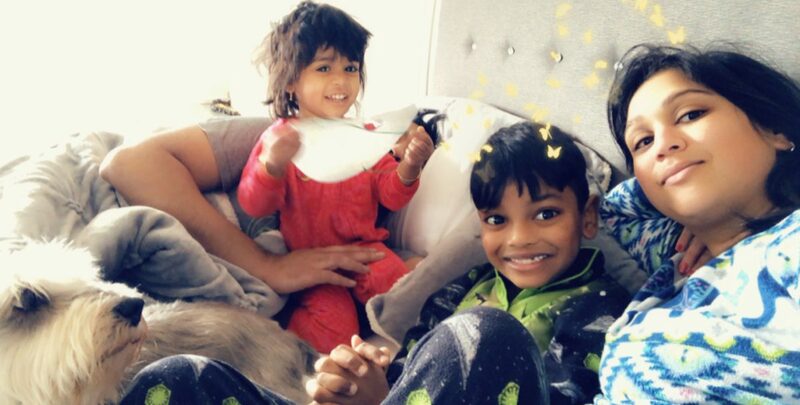 Hey nihar here…your unknown follower who becomes to be your friend .just love your pics with kids and love your stories. Want to know when I write something new? A little bit of Radha in your life! Powered by WordPress.com.